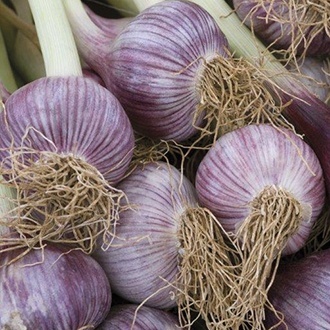 Hailing from Eastern Europe, this variety is one of the spiciest garlics we have tasted. A purple-skinned hardneck type, it produces large and plump cloves which are easy to peel and the growth habit is strong and vigorous. 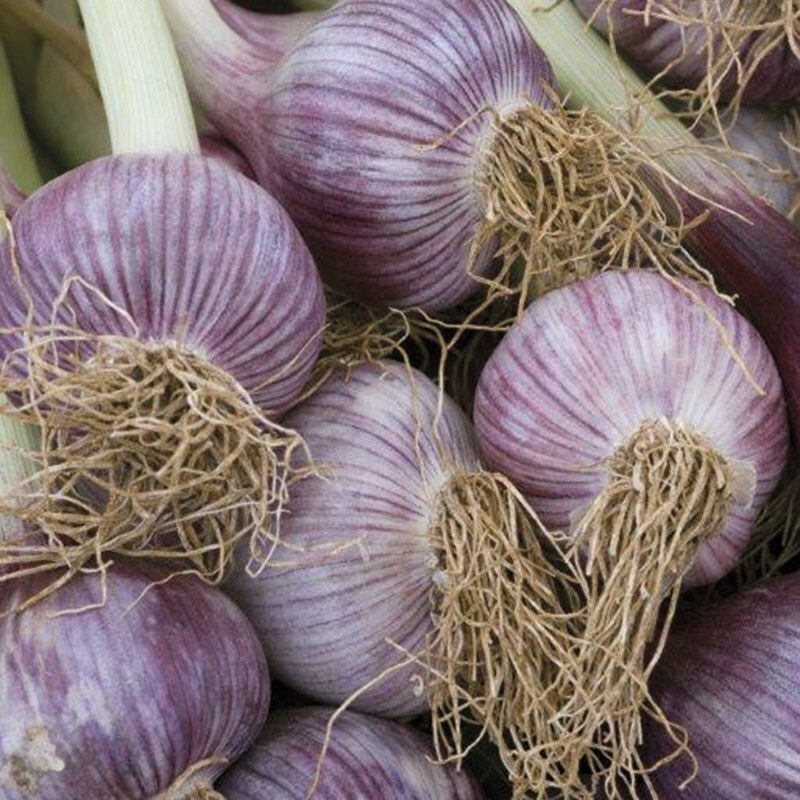 Excellent for UK gardens, once harvested and dried, the bulbs display attractive purple marbling. An exciting addition to our range. All of our garlic is grown on the Isle of Wight and where possible, is farmed in the traditional way. Easy to grow and care for, it can even be grown in pots on the patio! All of our varieties are suitable for autumn and spring planting and are derived from virus free stock. Hardneck types have a distinctive flavour and produce coiled flower stalks known as ‘scapes’ or ‘racamboles’. These are best removed to increase bulb size and are lovely chopped into salad dressings and stir-fries. Softneck garlics are the ones most commonly grown. They don’t produce a stalk and are known for storing well, traditionally in a plait.